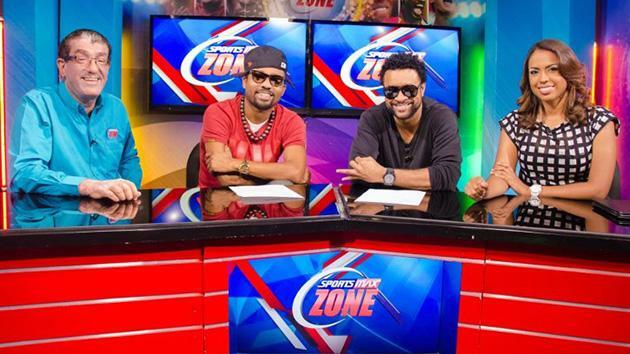 ( June 18, 2013) With 23 countries in the Caribbean tuning into sporting content from SportsMax, it has become one of the most successful cable sports channels in the world. Parent company, IMC, founded in 2002, are rights holders for the world’s top sporting content including the 2006, 2010 and 2014 FIFA World Cups, the London 2012 Olympic Games and the 2013 FIFA Confederations Cup. One of the biggest issues for SportsMax is that investing in an entire studio of new equipment is unaffordable. The Jamaican dollar is currently at 100 to 1 USD making what would cost $50,000 in the states, a half a million dollar purchase in Jamaica. To this point, choosing the right equipment, and the right technology partners and suppliers is not just crucial but a necessity. After a week long visit to SportsMax HQ in Kingston Jamaica, Sezumaga designed a strategy for solving the workflow issues then reached out to Technology Partner, JB&A, who helped put together an entire production ecosystem that could handle, not only their needs for the London Olympics, but take them into the future with a solid infrastructure. The Olympic broadcast required capturing six different feeds from Satellite and Fibre, coming into the Studio in Jamaica. They had six logging stations set up running 24 hours a day, an all Mac workflow for the Olympics with a mix of iMacs and Mac towers running both Final Cut Pro and the Adobe Creative Suite. With the London team in place and a Studio set up in Jamaica, there were six TV programs running at different times daily producing 12-18 hours of content a day. Quick turnaround on edited footage was essential, often needing to insert relevant clips and/or stills on the fly during broadcasts. Without a clear asset management system in place, no centralized storage, archiving and backup solutions, or the ability to ingest the Satellite feeds, this would have been impossible. To handle these demands, the newly defined workflow ecosystem from JB&A consisted of several components working together in concert: EVO Shared Storage Server from Studio Network Solutions (SNS) to serve as the central storage hub; CatDV digital asset management application from Square Box Systems to manage, organize and categorize all the multimedia assets; Pipeline Dual HD from Telestream for ingest of the Satellite feeds to EVO and CatDV for shared storage live logging respectively and; Cache-A LTO to archive the files created from the Satellite feeds after the content was created. 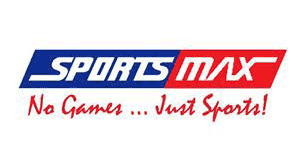 Together with Sezumaga, Enhanced View Services and JB&A,the new ecosystem was installed onsite at SportsMax. Lead by Sezumaga, this “dream team” of technology and broadcast specialists worked cohesively to install, train and support the project through the completion of the Olympic games. “This was a team effort,” stated Sezumaga, “It couldn’t have happened without any of the facets missing.” A technician from SNS was also on site in Jamaica to do the install and training of the EVO system. 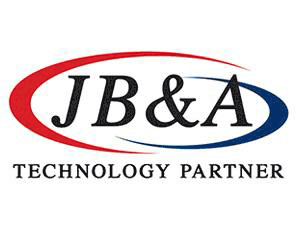 For more information on the ecosystem designed for SportsMax and all of the products and services visit,http://www.jbanda.com. For more information about Enhanced View Services visit,http://www.enhancedviewhd.com.